The Financial Times and New York Media, owner of New York magazine, have pulled certain ads from Facebook after the social media giant rolled out new policies for labeling ads about issues deemed political. 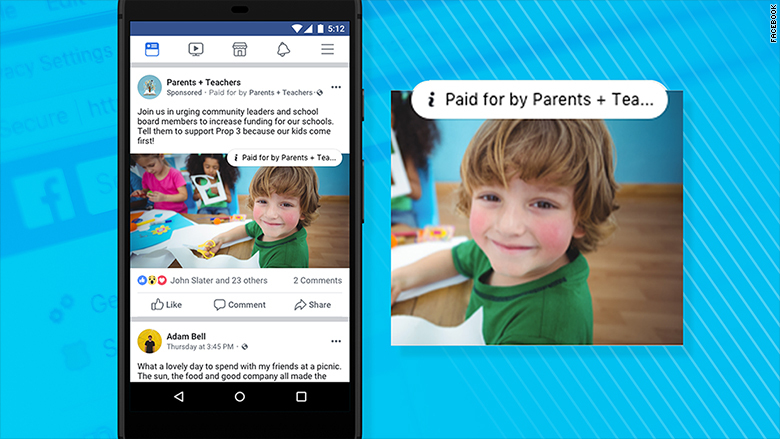 This week, Facebook instituted new requirements for advertisements on its platform. Ads that mention a political candidate or are about issues including guns, civil rights, and patriotism will be subject to the new rules. Those ad will now include a label saying what organization paid for it. All political ads will be placed in a searchable archive for up to seven years. "We strongly believe to conflate news with advocacy is a very dangerous direction to take," said Jon Slade, the FT's chief commercial officer. "There's also a lack of clarity around the liability." Facebook's rules come after last year's report from the US intelligence community that said Russia used social media to meddle in the 2016 US presidential election and seven years after Facebook and Google sought exemptions from federal regulators on political ad disclaimers. In an attempt to prevent foreigners from buying political ads targeted at Americans, Facebook will require advertisers to register by providing a picture of their government-issued ID, the last four digits of their Social Security number, and a US mailing address. "For the time being, New York Media is pausing its paid marketing on Facebook for content and brand promotion unless we're certain that it can't be construed as political, and thus subject to Facebook's ad archive disclosure requirements as we understand them," said New York magazine spokesperson Lauren Starke. "We object to any grouping of quality news publishers with political advocacy organizations and propagandists, and believe it would impede our ability to serve our journalistic mission. We hope that Facebook will find an appropriate solution for quality news publishers." News outlets say by being lumped in with political campaigns for ads promoting their stories about say, gun control, Facebook will make it seem as though news organizations are politically motivated, instead of just reporting the news. Digiday was to first report that FT and New York Media were pulling their ads. David Chavern, president of the News Media Alliance, a trade group representing more than 2,000 news organizations in the US, said the new policy is making publishers "very anxious." Chavern said he wasn't aware of any publishers beyond the FT and New York pulling ads, and that many are waiting to see whether and how Facebook changes the policy. "The concern we have with placing legitimate news publishers in the ad archive of political content is not a marketing or business issue. We see this as another step toward furthering a false and dangerous narrative that attempts to blur the lines between real reporting and propaganda," Chavern wrote in a in a proposal to Facebook about adjusting the policy. "Marketing our products, or subscriptions to our products, is not separate from our journalism. Our marketing must reflect our journalism and tell the story of what it takes to produce credible, source-reported, quality news. We cannot and will not engage in any process that possibly or clearly conflates legitimate news-gathering with politics or advocacy." The News Media Alliance has suggested Facebook institute a different system for qualified news organizations by exempting any publisher on a so-called "white list" from being included in any political or issues archive. In a call with reporters on Thursday, Steve Satterfield, a director on Facebook's policy team, said they are in "ongoing dialogues" with news organizations regarding the policy. "We think it's important that any ad that mentions a candidate for example include this transparency and be accessible via the archive. We have heard feedback, particularly since we announced the expansion of our policy in April from various groups who were concerned about being required to be labeled and maintained in the archive," he said. "We'll have more to say about that in the future. We appreciate the feedback and we are taking it into account as we move forward." --Donie O'Sullivan contributed to this report.